Supercars has moved to explain the reasons for a trial of new parc ferme regulations and the introduction of an additional drivers practice at the Tyrepower Tasmania SuperSprint next month. The championship will enforce new parc ferme rules at Symmons Plains, as revealed last week, as part of an experiment to improve the racing and potentially shake up the order. The news arrives following confirmation Supercars will trial closing the pit lane under Safety Car at the WD-40 Phillip Island SuperSprint. At Symmons Plains, cars will be placed under parc ferme conditions from the completion of qualifying until the start of the corresponding race. This means teams will be restricted to basic preparatory work on the cars prior to the race start, which includes measures such as checking tyre pressures, installing cool suits and loosening wheels. Effectively teams will now have to race cars as they have been prepared for qualifying, which will potentially compromise set-up direction between qualifying and race trim. “It’s a trial. We sit there at the Supercars Commission and you’re always re-evaluating what you do, and one of the discussions that came up was that some teams are good at qualifying cars, not so good at race cars,” Supercars head of motorsport Adrian Burgess told Speedcafe.com. “Some teams can do both; some teams do one, not the other, so we just wanted to mix it up. “We wanted to try and get the teams to go and qualify their race car, so to speak, and just see if we can have a different grid, if there’s a couple of people in different places, or someone puts their eggs in one basket and not the other. “It’s just a way of generally mixing it up a little bit and trying to prove to ourselves that we don’t need to do all this work changing the car left, right, and centre if we don’t have to. Burgess has however confirmed that allowances will be made to contravene regulations if an entry suffers a major accident in qualifying or requires a significant component change. “We want every car on the grid, of course we do,” he added. The trip to Tasmania will also see the return of a 30 minute additional driver practice to a Supercars event schedule after the sessions had been initially scrapped for this year. In recent seasons events at Winton and Queensland Raceway have held co-driver sessions to aid team preparations for the Pirtek Enduro Cup. With the focus increased on co-drivers now the Supercheap Auto Bathurst 1000 kicks off the enduro season, changes have been made to allow more practice mileage before The Great Race. “Clearly we want to give the co-drivers some mileage,” said Burgess. “It’s hard with the schedules, fitting it in, but we’ve juggled a few things around and I think it’s always good getting the young guys out there and giving them some miles before you get to Bathurst; maybe it’s more important this year that we’re straight into the big one. 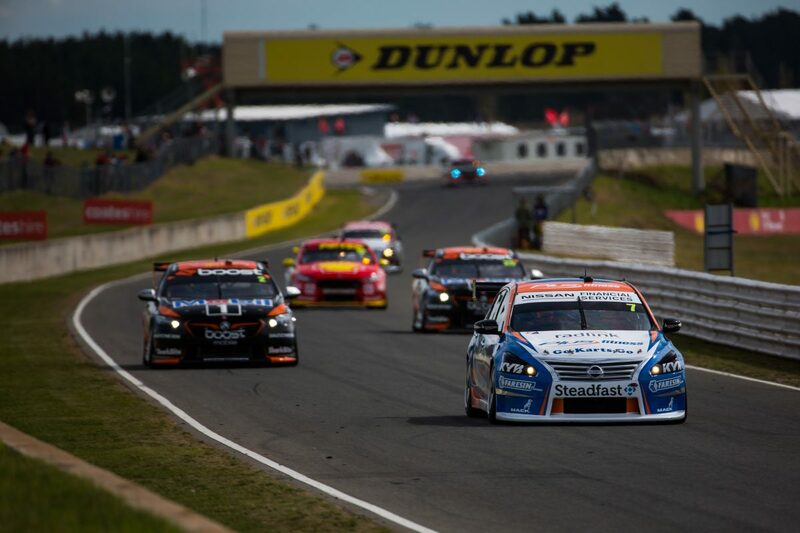 The Tyrepower Tasmania SuperSprint will be held from April 5-7.